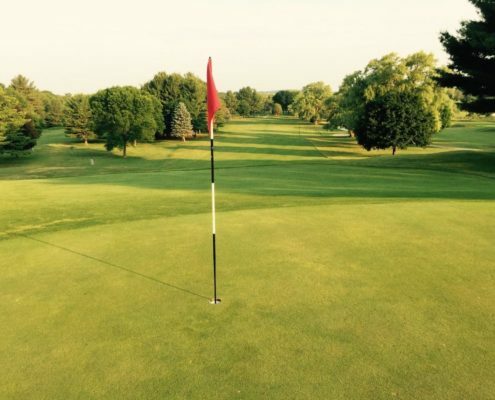 Dating back nearly 100 years, Sandy Burr Country Club has a long history rich in tradition and heritage. It was back in the summer of 1921 when the idea first came to “Gus” White of organizing the club, and after four months seeking a site the present location was chosen. The golf club area was formerly two farms, the Dwight farm of 59 acres, and the Beebe farm of 123 acres, a total of 182 acres, with three homesteads on them and several farms. In the spring of 1922 nines holes were temporarily laid out by Eben Adams, the greenkeeper at the time (formerly of Worcester C.C.). 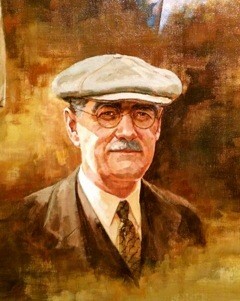 In the meanwhile construction work was ongoing for the permanent 18 holes, with Donald Ross as designing architect. 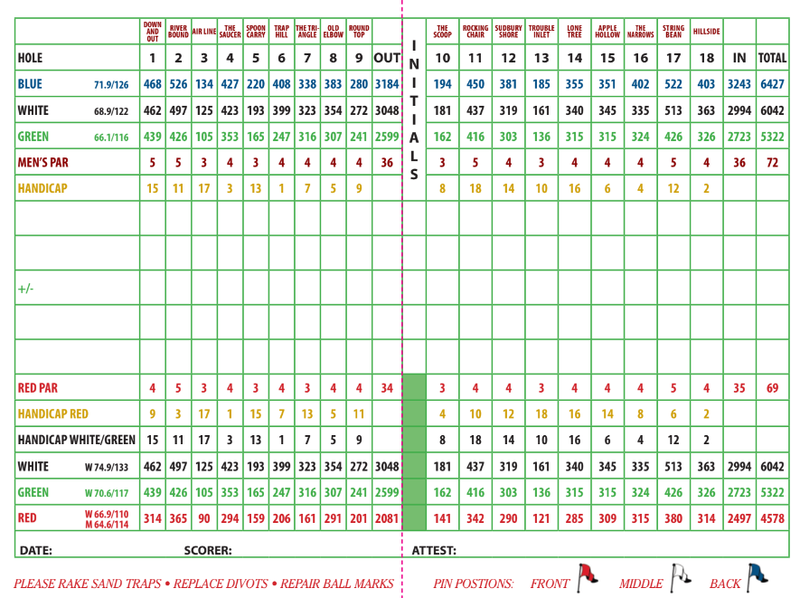 The first nine holes were completed June 26, 1923 and the second nine holes were finished in the spring of 1924. In 1922, Sandy Burr Country Club was accepted as a championship venue by the Massachusetts Golf Association. 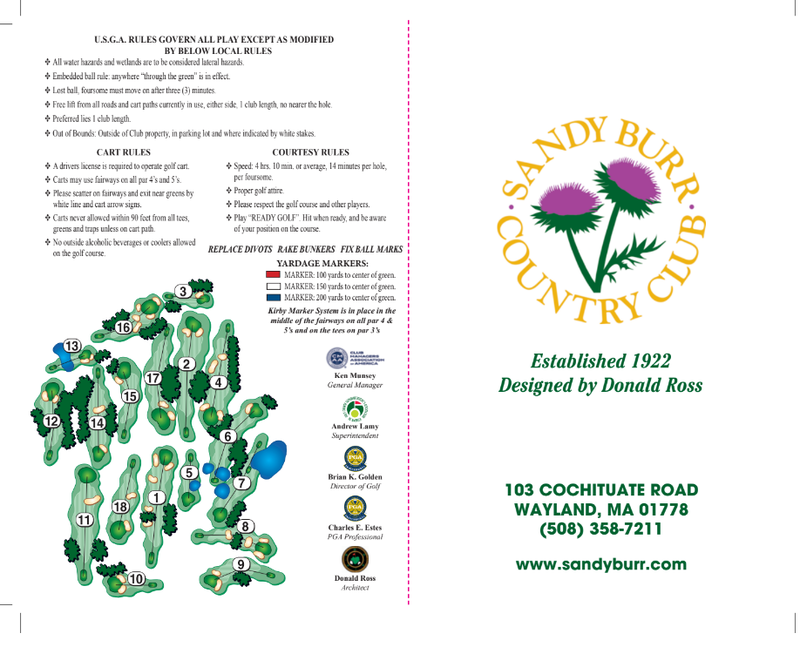 In 1921, Sandy Burr originated the New England Left Hand Championship, after the course had been designated by the Massachusetts Golf Association as one of the few courses in the Commonwealth “best suited for championship events.” Two years later, in July of 1924, the course was host to the New England Professional Golfers’ Association championship. 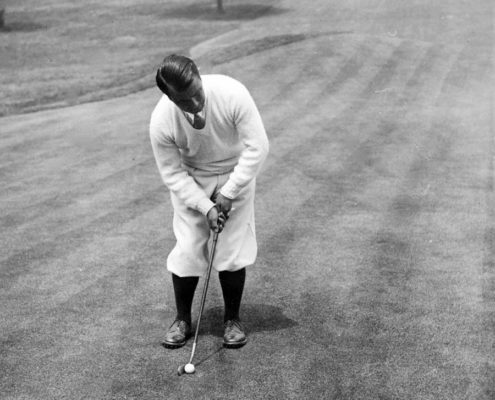 In 1926, Sandy Burr Country Club played host for an exhibition match between Francis Ouimet and Walter Hagen. 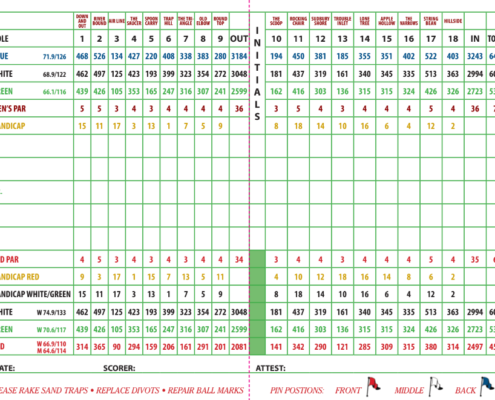 The two-day 36-hole match is known as “The Battle of Sandy Burr,” in which Ouimet trounced Hagen setting the original course record of 69. In July of 1928, Sandy Burr C.C. 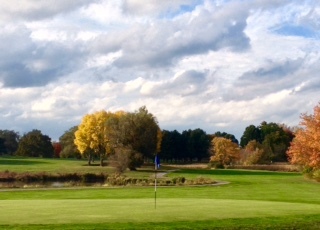 and Westchester C.C. 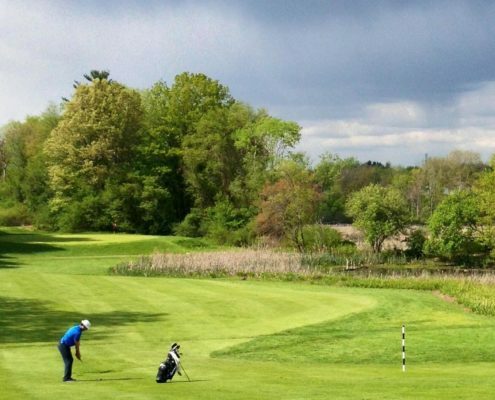 in Rye New York played host to a 72 hole international match between England’s leading golf professional Archie Compston and American golf legend Walter Hagen. So many golfing greats have walked these hollow grounds. Today, Sandy Burr retains a rich history and tradition. We invite you to come walk in their shoes, and play golf as it was meant to be.